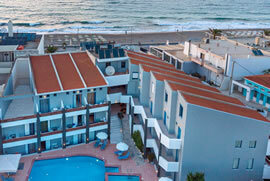 Yacinthos is situated right opposite the long sandy beach of Perivolia. 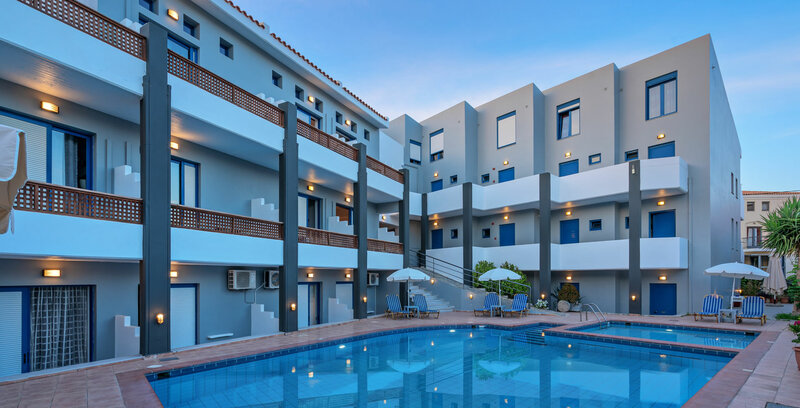 It offers a large swimming pool (1.80m depth), a children’s pool (0.80m depth) and complimentary sun beds and umbrellas, free of charge. Free Wi-Fi is available throughout the hotel and in the rooms. 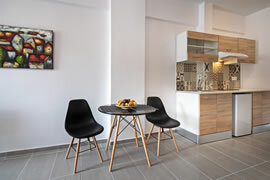 Studios and apartments at Yacinthos are fully equipped, self-catered and air-conditioned. Each room has a private balcony with views of the pool or the sea. Room service is also available. Guests can start their day with a rich breakfast including, among others, fresh bread, homemade jams, yogurt with honey, crepes and deli meats and cheese. Breakfast can also be enjoyed in the privacy of the rooms. On the nearby sandy beach, except for sunbathing and swimming, you can do water sports or have a drink at the beach bars. Walking along the beach will get you to the Old Town of Rethymnon where you will be amazed by the Venetian Fortress (Fortezza) and the small picturesque streets. You can also find traditional Cretan taverns, restaurants with Greek and international cuisine, as well as various shops. 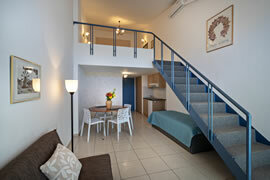 Yacinthos disposes of all the required facilities for a comfortable holiday. 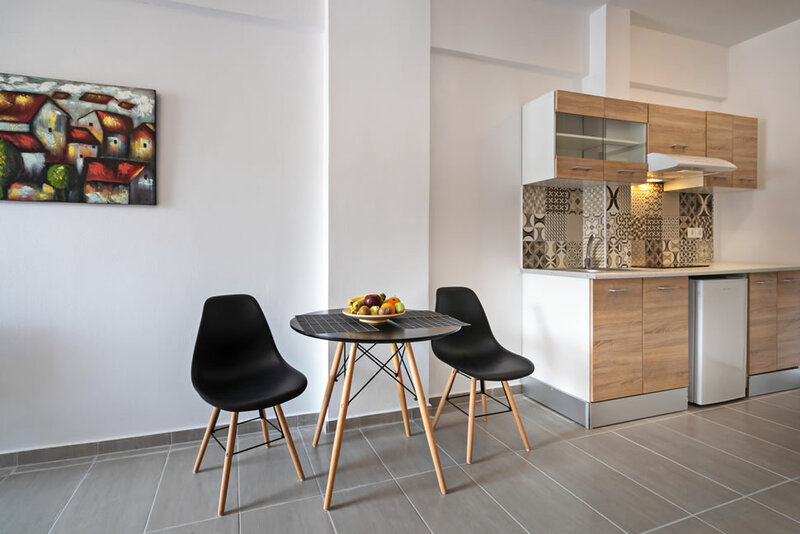 Our spacious apartments are ideal for couples or families and are fully equipped with a kitchenette, a fridge, a stove, cutleries and air-conditioning units. 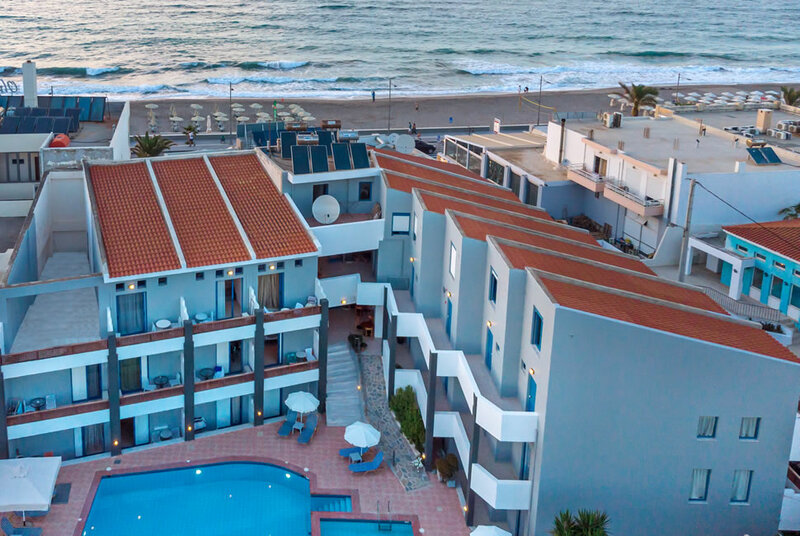 Come and enjoy the Cretan hospitality, the local delicacies, the natural beauties our island has to offer, the lovely beaches, the impressive gorges and the imposing mountains! 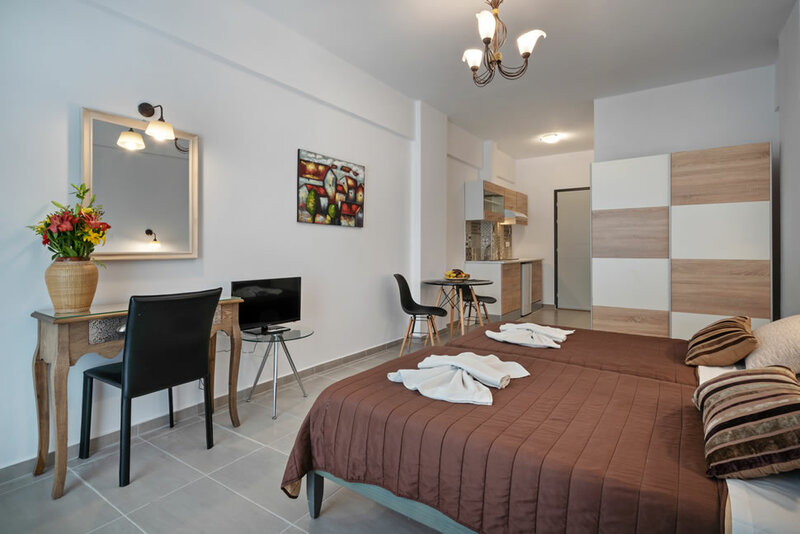 © 2018 Yacinthos Hotel-Apts. All rights reserved.